Kylmää kiveä, a Finnish climbing documentary film is finally on TV now. 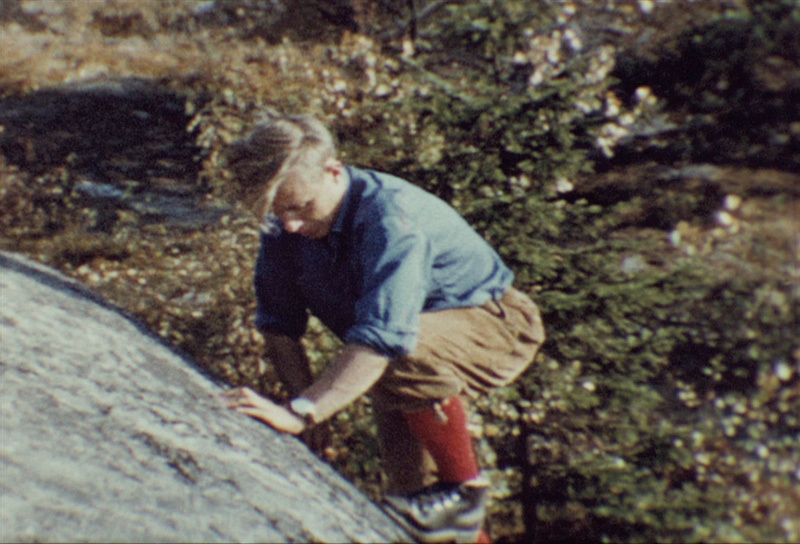 Matti A. Jokinen (1932-2014), the pioneer of Finnish climbing lived by Taivaskallio boulders. His Hakahalkeama is the first crag here. That's where it all started over 60 years ago. Matti A. Jokinen training at Taivaskallio. It may not be a coincidence that bouldering - the simplest form of climbing - appeals to us trailrunners. I've noticed that climbers resemble us, because they are always looking for the hardest routes. 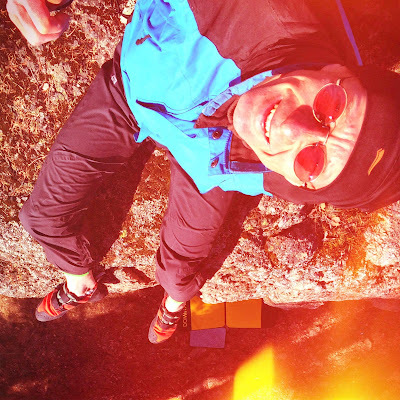 Both bouldering and trailrunning seem to fit the Finnish mentality well. Me at Taivaskallio yesterday. The weather is ideal now. All you need is a pad and shoes to get started. I got myself climbing shoes and a crash pad to fall safely on. That's all the gear you need to get started. I also moved close to Taivaskallio, so I can bike to the crags in a few minutes with the pad on my back. 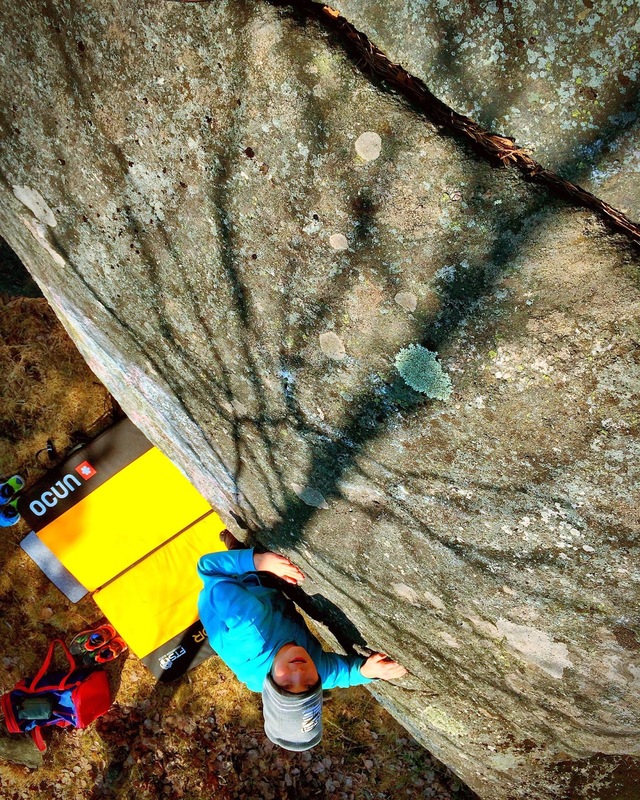 All aboard the bouldering train. Next stop: Taivaskallio crags. All aboard the bouldering train! Next stop: Taivaskallio crags. Nice training project for 2016.